*** 2019 Defensive End target Marcus Stripling tells us he will be at the OU vs Texas game. Stripling dropped his Top four earlier this week of OU, Texas A&M, LSU, and Alabama. As we mentioned prior, Stripling is planning on officially visiting Norman for the Kansas State game later this month. We will confirm that visit as the date approaches. In reality, we see this as an OU vs Texas A&M battle with Bama running just behind and LSU pulling up the rear. Cooper will not be in Dallas as he has his high school homecoming game, but he is still planning on officially visiting Norman later this season. Will update you when the date for the visit is set. *** Super K is down in Fort Lauderdale, Florida, and he will have one or two quick hitters up about 2019 running back Kenny McIntosh and 2019 defensive back Josh Sanguinetti either tonight or tomorrow. As you can see in the tweet, Sanguinetti has plans to visit Norman later this season. That is a very good thing. Sorry for the delay on these notes. Here are my notes from a source regarding 2019 Ohio State DB commit, Jordan Battle (Ft. Lauderdale). As you know, Battle made his way to Norman last weekend. I am currently in Ft. Lauderdale to see, among other players, Battle and St. Thomas Aquinas take on Deerfield. So, I hope to have more from Battle, later. Battle did tell me via text that he had an amazing time on the OU visit. ***Was told Battle loved OU and that OU and Ohio State are now tied. One source actually said Battle was close to pulling the trigger. 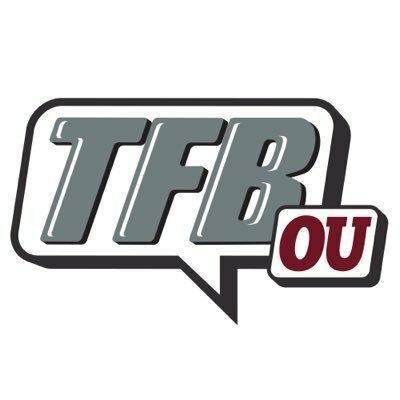 ***Source said that Battle’s father prefers OU because of the depth at Ohio State and lack thereof at OU. However, I am told that mom seems to be somewhat partial to the Buckeyes. ***I’m told depth is working against Ohio State. However, source added, “but all those guys at Ohio State will still get drafted”. The bottom line here is, as of late, OU has almost no draft production at the DB position while Ohio State is churning out early picks. 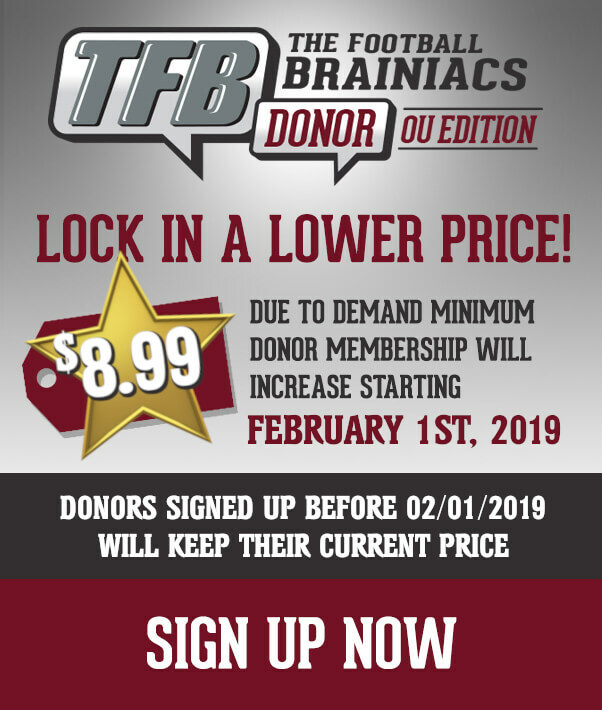 ***Source also said that, because Kenny McIntosh and Jaden Davis are all so close, Kenny pulling the trigger to OU would make it that much more likely that Battle would follow suit. Again, it seems he, himself, would be comfortable with either school. As such, having two of his best friends going to Oklahoma could break the tie and give OU a lead. – As we mentioned back in early September, 2019 OT Commit Stacey Wilkins is set to officially visit Arkansas in November for their game against LSU. – As we also mentioned in early September, we do not feel like this will amount to anything in regards to his commitment status as he is very tight with both the staff and his fellow commits. – Obviously, OU is and has been aware of the pending visit throughout the process. – I am only putting this out there because several of you have mentioned seeing it on Twitter and such. If you would like to read Charlie’s Insider Note, please click the Donor Board link! It’s here. The Biggest game of the season is finally here. Pretty soon, Sooners fans everywhere will be popping the top on some cold beverages and arguing over how they like their Bevo cooked. They’ll be gathered around a TV making fun of a certain Texas player’s hair or flooding Fair Park to ensure that bystanders have a healthy dose of beautiful Crimson to offset that hideous orange. Wherever you’re planning to watch the Sooners and the Longhorns play, here are some stats and facts to get you prepared. So put on your “Beat Texas” hat and your best Toby Rowland voice because HERE WE GO. The Sooners and the Longhorns have met 112 times. Texas leads the series 61-46-5. That’s about where the impressive statistics for the Longhorns end. When both teams are ranked, Oklahoma leads 20-15-3. When both teams are in the Top 15, Oklahoma leads, 15-12-1. When both teams are in the Top 10, Oklahoma leads 8-7-1. When both teams are in the Top 5, Oklahoma leads 5-4-1. Oklahoma holds the largest margin of victory in the series at 52 points. They also hold the 2nd largest at 50, the 3rd largest at 49, the 4th largest at 45, the 5th largest at 42, the 6th largest at 39, the 7th largest at 38 and the two 8th largest at 35. The Longhorns’ largest margin of victory was 33 in 1941. Bud, Barry, and Bob combined to go 29-20-2 against Texas. Stoops has the highest winning percentage at .611. The series hit a real turning point in 1970. 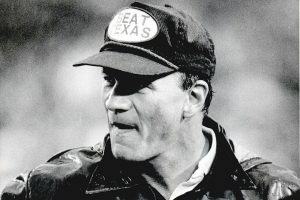 Before 1970, Texas led the series 41-21-2. Since then, Oklahoma leads the series 25-20-3. 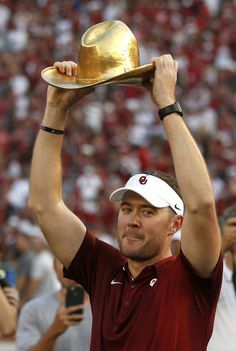 Lincoln Riley is a wizard. I’m serious. I mean, what’s the difference between what he does and what a wizard does? A wizard chants some stuff and makes magic happen. Lincoln Riley says a play and makes free safeties disappear. He probably has a secret room behind the bookshelf in his office where he works on his offensive spells. The passing game had another insanely efficient day last Saturday. In fact, it was more efficient than any game with Mayfield, the guy that had the two most efficient seasons in the history of FBS football, ever was. I know Kyler Murray is an incredible athlete and a lot of what Oklahoma’s offense has accomplished is because of him. But, I’m starting to think that Mr. Magoo could play QB for Oklahoma and he’d throw for 3 TDs and a Passing Efficiency of 200. Heralded as an offensive mind, Tom Herman has created something truly embarrassing in Austin. In a program that produced college legends like Ricky Williams, Earl Campbell, Cedric Benson and Jamaal Charles, Herman managed to create an offense in 2017 whose leading rusher 1) was a QB and 2) ran for 381 yards all season. Outside of on-the-field problems, he’s truly a gift to social media. Whether it’s the sledgehammer gif, the “Some” moment at media days or openly mocking teenagers from the sideline, Tom Herman is everything the internet wants and nothing a serious athletics program wants. Kyler Murray has been incredible. Nearly halfway through the season, he has all the passing statistics of Mayfield while also supplementing the running game. Here’s a look at Murray vs Mayfield through 5 games. As for Texas, the brightest spot according to all accounts is their defense. Their defensive backfield has a mix of athletic youth in freshman Caden Sterns, and experience in senior Kris Boyd. But just how bright is this defense? As you can see, they aren’t exactly shutting teams down. They are holding teams just to 6.7 points below their average. 6.7 points below Oklahoma’s season average is 42 points. The Texas offense hasn’t scored 42 points in nearly two years. Well, hopefully, this has been informative and encouraging. And if you still have your Toby Rowland voice, unhitch the wagon and put the ponies in the barn, because this preview is finished. As the designated host team, the Sooners get to play host to recruits this year. Here are the names of those recruits which we have confirmed who will be in attendance.